"Adessia Bay", Tenerife This was the next anchorage, which again, no author has located. 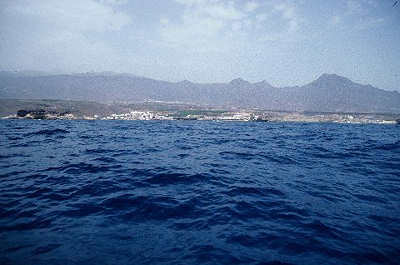 Studies in the Las Palmas Museum proved that this was Adeje on the SW side of the island. Ships were sent south from the River Sierra Leone to the River "Magrabomba". A Portuguese website and a 1758 Dutch map prove the river is now the Sherbro-Jong.